Enjoy a wide array of Thai specialty dishes on a white sand beach with views of the sea. 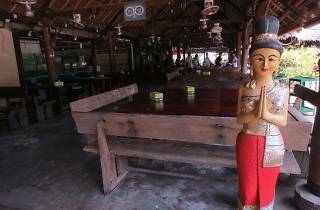 Located in the rural fishing village of Teluk Kumbar on Penang’s pristine south-central coastline, Khun Thai (or Simply Thai) Restaurant is one of the island’s hidden gems. 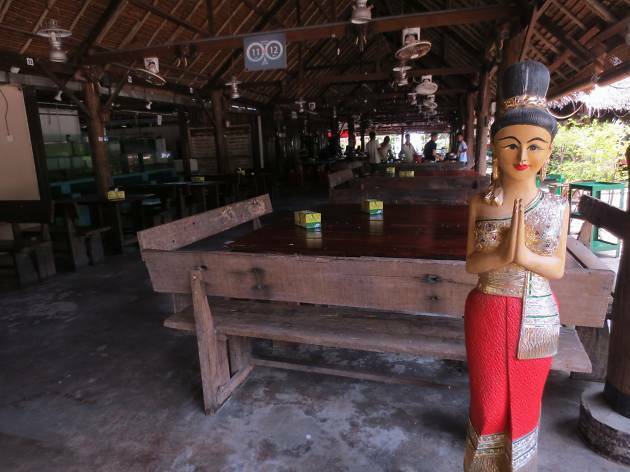 Here, you can enjoy a wide array of Thai specialties right on the white sand beach with views of the sea. The open-air restaurant offers several different varieties of fresh seafood which are proudly displayed in large tanks; when ready to order, you can just point to which fish you’d like and specify how you’d like it prepared. Besides seafood, Khun Thai is also known for its fragrant, tenderly cooked pandan chicken, their perfectly spiced tom yam as well as their claypot glass noodles.